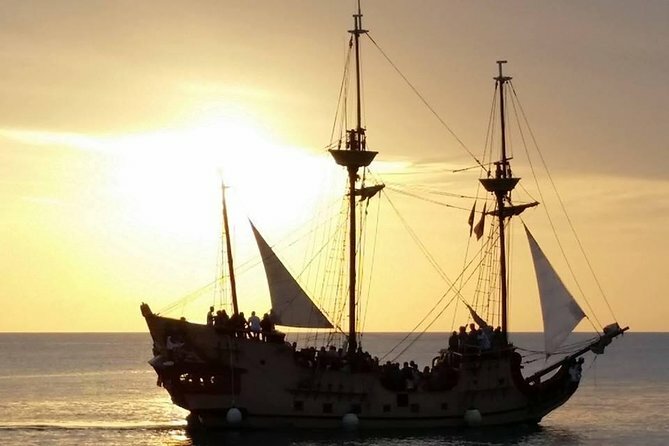 The Jolly Roger Pirate Ship departs from Paphos harbor for two hours of having fun and enjoying the breathtaking sunset over the Mediterranean sea. Relax and refresh in the crystal clear waters of the Mediterranean sea and enjoy the amenities of the open bar (alcoholic & non alcoholic drinks) and fresh seasonal fruits. Paphos harbour and Secret Cave (Riccos Bay).